Sometimes… we become some myopic about our problems, so much so, that we cannot see anything else BUT the problem. Narrow vision, tunnel vision and blind spots are terms used to describe people who stay a little too close to the troubling issues at hand. Distance gives perspective. This is one reason why people take vacations… a chance to remove yourself from your existing situation long enough to get some breathing room and see things more clearly. Researchers have revealed that when people get stressed, they actually begin to lose their peripheral vision. Ancient mystics and contemporary wisdom keepers have a different name for this: “The veils of illusion;” thoughts and feelings that cloud our thinking and perpetuate the feelings of stress. Distance gives perspective. Are you positioned a little too close to your problem(s). Try backing up several steps (literally and symbolically) to put some distance between you and it. Just be sure to come back. Some people start to give themselves some distance and then end up walking in the opposite direction (remember, avoidance is not a healthy coping technique for stress.) How would your problem look from the perspective of a poor child in India, an alien from the planet Zzorb, a Tibetian monk in Lhasa? Consider giving yourself some distance to your problems today. Singer, Eva Cassidy died much too soon. Her voice brings to mind the choirs of angels, and I know I am not alone in thinking this. Here is a link where she sings John Lennon’s Imagine, a wisdom keeper who got the concept of “From a Distance.” Enjoy this link. The Spirit of Ireland Trip was nothing less than magical and indeed everyone who went shared how the trip was a life-changing experience—Everyone! The Irish are such great hosts. (Thanks Tom, Brendan and Paddy), and this was complemented by the great weather (unreal in Ireland), the fabulous food (really!) the incredible sacred sites we visited, etc. etc. etc. … I could go on and on.. This photo was taken at the beach where the movie, Ryan’s Daughter was filmed in the 1970’s. 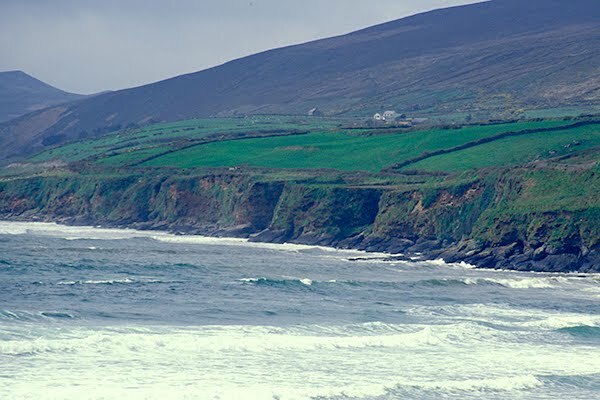 Plans are underway to return to the Emerald Isle next summer solstice, so if you are interested, please mark your calendars. 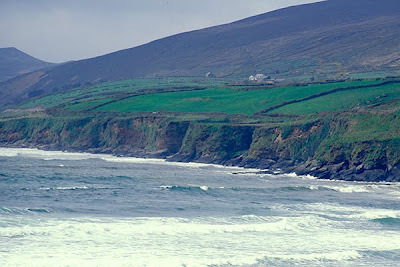 This is an image I took while touring the Ring of Kerry with my sister, Gail, several years ago. Enjoy! and always, God love you. 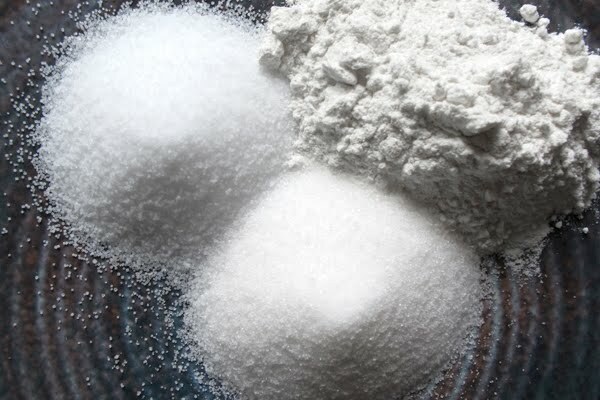 Pictured above are three white substances that Americans have a voracious addiction to: Sugar, bleached flour and salt. This, along with coffee, have become the four major food groups in the American diet (smile). Nutritionists refer to these four substances as cornerstones to the Standard American Diet (also known as SAD, and sad it is). These substances are quite common in processed foods, junk foods, comfort foods and fast foods; basically the foods people grab when pressed for time or stressed-out emotionally. By and large these types of foods are classified as empty calories because they contain no nutritional value. Research continues to reveal that not only do these foods contribute to weight gain, they also are associated with hypertension (particularly salt) and a suppressed immune system (primarily sugar). Having just returned from a trip to Turkey, I was frequently asked what was my most surprising find? Like others, I immediately noticed that there are few, if any, obese people in Turkey, (it was a culture shock coming back through O’Hare airport!). And while Turkey’s culinary desserts, such as Baklava, were indeed sweet, every dinner was complete with an encore of fresh fruit. Cravings for foods of the “white powder” kind can often reveal an imbalance (e.g., sugar cravings may indicate a poor intestinal flora balance resulting in Candida). For better health and longevity, consider quitting your addiction to white powder! Do you have an addiction to white powder? How is your consumption of table sugar or salt? Do you crave baked goods that come in easy-to-open packages? Here is a test: Try giving up all things processed sugar for the next 30 days (the typical length of time for a addiction recovery period). When eating out at restaurants, avoid using table salt. Typically restaurants use high amounts of salt in the preparation of food; you don’t need to add to this. Whole wheat is always the best option over bleached flour, and fresh fruits and veggies are the preferred choice for nutrient dense foods. This link has absolutely nothing to do with the topic of today’s blog, but I was so impressed with this I just felt compelled to pass it along, if for no other reason, its fun to watch, and it’s a good message. Enjoy! White powder substances are found in nearly every home and perhaps worse, found in so many fast foods, junk foods, processed foods and comfort foods that can lead to serious health related issues. Metaphorically speaking, we all have buttons of the emotional kind, and not a day goes by that these buttons don’t get pushed by someone or something. Having your buttons “pushed” is a euphemism for getting angry; usually by something or someone we cannot control. Traffic, politics, in-laws, the weather… the reasons are endless. One aspect of creative anger management is the concept of tolerance: the ability to accept something as it is, or someone as they are. A quick look at the headlines and one can easily see that tolerance is in short supply today. In fact, an expression, “Zero Tolerance” is often used by people who are adamant about their beliefs and opinions. When the practice of zero tolerance is used in conjunction with illegal drugs, murder, etc. this is most acceptable. However, when the attitude of zero tolerance is used regarding differences in lifestyles, religious beliefs, eating habits, and such, what you are seeing is a person who feels threatened and is under stress. Metaphorically speaking, ALL of their buttons are pushed. Acceptance is one of the strongest coping techniques for stress, yet its also one of the hardest to implement, when the ego is running the show. Take a look at the emotional control panel of your life today. What tends to push your buttons? Ask yourself, what do you feel intolerant of these days, and being completely honest with yourself, then dig deeper to ask yourself why? People often act as mirrors for ourselves. It has been said that quite often, those things we don’t like about others (or cannot accept about others) are the same qualities that we don’t like in ourselves (Freud called this defense mechanism “projection”.) Take a good look at yourself today, but taking a good look at others and begin the art of acceptance. In searching the web for some additional links to the topic of tolerance and acceptance, it was astonished to see so many rants. Here is one link I thought was worth reading. While in Istanbul last week, I, like so many other visitors, went to several of the city’s notable sights and tourist attractions. 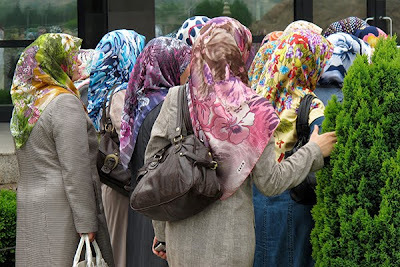 While it is not uncommon to see women wearing head scarves in Istanbul (this being a Muslim country and all) this group of tourists caught my eye. Enjoy. What does it take to obtain world peace? This is THE million dollar question! This very question was posed to myself and a group of citizen diplomats invited to Turkey last month. We were invited as a delegation of “peace ambassadors” to bridge the worlds where East literally meets West—Istanbul; the crossroads of civilization. World peace begins with leaving the comfort zones of your culture and exploring the cultures (e.g., food, music, religion, politics, history, etc.) of others. “World travel,” it is said, “is one of the best forms of education!” Yet travel isn’t enough to invoke world peace. A critical factor of world peace is dialogue; a sacred space among people where thoughts and feeling are shared, similarities are honored and differences are respected… or at least accepted. As the saying goes, “Changing the world is an inside job!” To create a sacred space for dialogue, one must first lower one’s defenses (also known as keeping an open mind and personal stress not only closes the mind, it often puts a lock on it! ) To create a sacred space for dialogue, one must also disarm the ego; its most powerful skill includes judgment/prejudice (of others looks, accents, belief systems, etc.) In essence, world peace begins with inner peace; coming to terms (cultivating an inner dialogue) with one’s own shortcomings, opinions, prejudices and insecurities. Making peace with oneself is the first criteria for world peace! How open is your mind these days? Does your level of personal stress eclipse the opportunity for new ideas, new experiences, even new relationships with people who look different, talk different and think differently than yourself? Do you take time to regularly domesticate your ego and cultivate inner peace within yourself? Are you able to create a sacred space for dialogue with others of different nationalities, religions, and ethnic backgrounds in which to listen, share and learn? Whether you know it or not, you too, are a citizen diplomat and peace ambassador! Consider stepping outside your “cultural box” today and initiate a dialogue with people outside your social network of friends and family. No one ever said world peace was easy, yet everyone agrees its necessary, perhaps more so now than ever before! The next step is yours! The link below will direct you to a special group of luminaries in Turkey who hold a light for world peace. Please take a moment to visit this site and learn more about what groups of people around the world are doing to hold a sacred space for dialogue. On my last day in Istanbul, our guides took us to the famed Blue Mosque, so named for the exquisit blue tiles that grace the second floor. 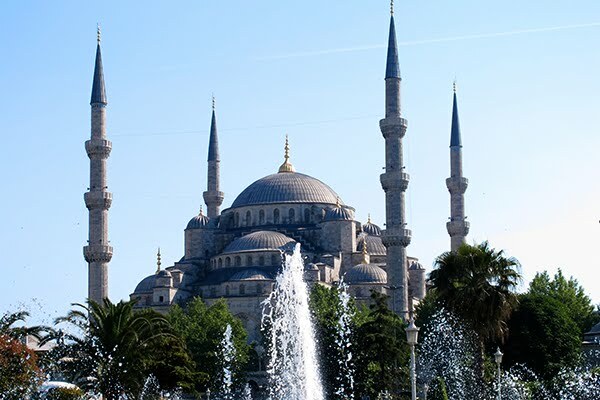 Commissioned hundreds of years ago by a Sultan at the age of 16, the Blue Mosque, with six minarets, has become one of the iconic symbols of Istanbul. It is situated on the European side of the city, adjacent to the Hagia Sofia, a former cathedral (built by Emperor Constantine around the year 400 A.D.), former mosque (at the start of the Ottoman Empire) and now historic museum. And.. if you ever get the chance, consider a vacation trip to Turkey. 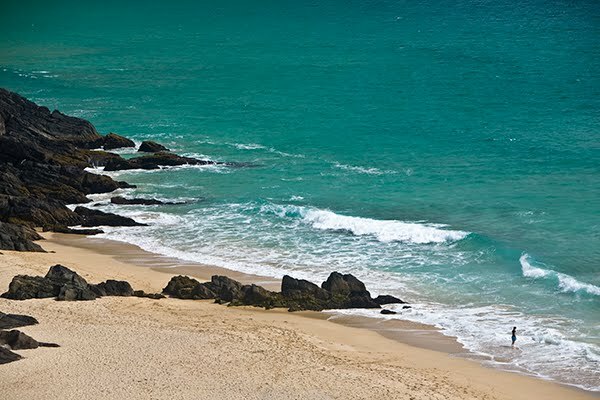 The hospitality, food, culture, history and sights are beyond compare!